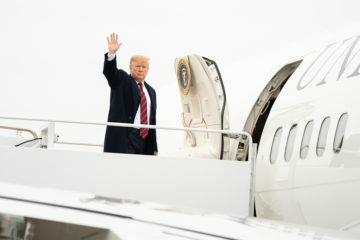 Washington, D.C.—The White House should launch a government-wide investigation as well as issue new guidance into non-commercial aircraft use by agency officials, according to a request for investigation filed today by Citizens for Responsibility and Ethics in Washington (CREW) with White House Chief of Staff John Kelly. While Office of Management and Budget (OMB) Director Mick Mulvaney has recently imposed a new requirement that all government travel not meeting certain parameters be approved by Kelly, this step does not nearly go far enough. Recent reports show that multiple government officials took trips on private or government jets to view the eclipse, attend conferences, and give speeches, among other travel. Former HHS Secretary Tom Price resigned last Friday amid allegations that the government spent more than one million dollars in taxpayer funds for his private jet travel when commercial flights were available for a fraction of the cost. Interior Secretary Ryan Zinke took a private jet from Las Vegas to Montana on a plane owned by oil and gas executives that cost more than $12,000. EPA Administrator Scott Pruitt has reportedly flown on at least four military and non-commercial flights at a cost of over $58,000 — without making any justification for the cost. While OMB Director Mick Mulvaney has instituted new rules that require prior approval to use government planes, this is only a small first step towards a solution. A full investigation is needed to understand all of the violations that have already occurred — not just the ones that have been reported — as well as what is owed to the taxpayer to compensate for these abuses and how best to avoid them in the future. This issue first rose to national prominence after CREW filed open records requests relating to Treasury Secretary Steven Mnuchin’s use of a government plane to travel to Lexington, Kentucky to view the solar eclipse with his wife Louise Linton. Last month, CREW sued the Department of the Treasury for failing to release the documents. "Mueller's team has done its job; now it's time for Congress to do its job and hold hearings into abuse of power by the President of the United States." 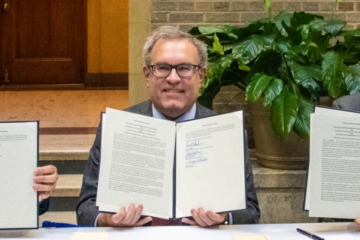 Wheeler signed an ethics pledge barring him for two years from working on issue areas on which he lobbied within two years of his appointment. 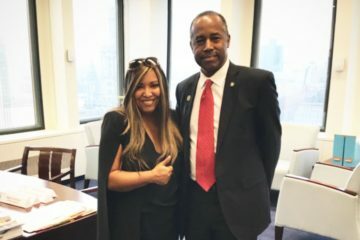 Lynne Patton appears to have violated the Hatch Act by displaying official Trump campaign merchandise in her government office at HUD.